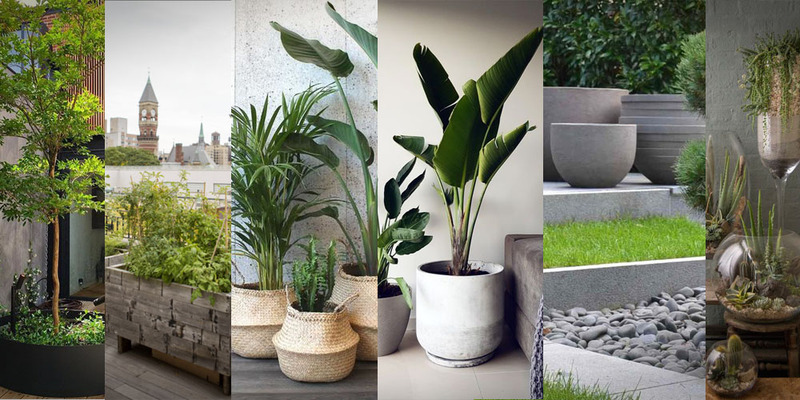 It’s my trade so I like to keep an eye open for nice planters, some inspire and some are just worth a mention but unfortunately it’s not always easy to track where to get them. 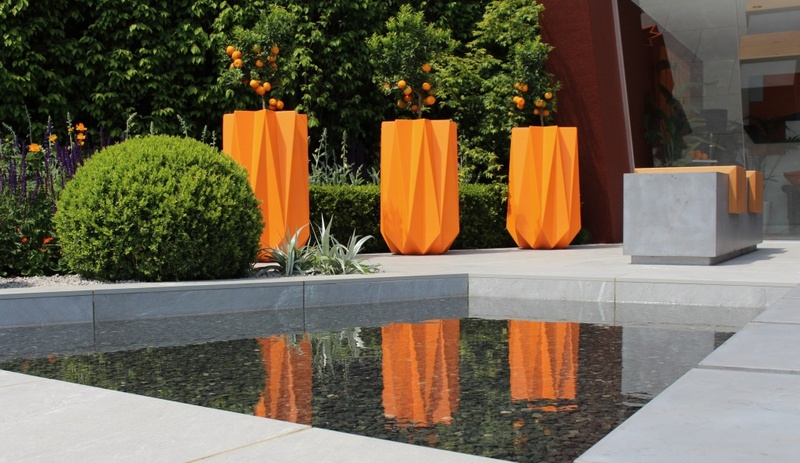 Regardless I have collected 10 planters for you that I like and dropped a nice picture of my own design in there from Hampton Court flower show this year where Polly Anna Wilkinson won Silver with her modern garden. These are Atetlier Veirkant and they are a Belgian company that specialise in expensive hand made large pots and ceramics. The brand has grown to be huge and they appear in stylish houses around the world. 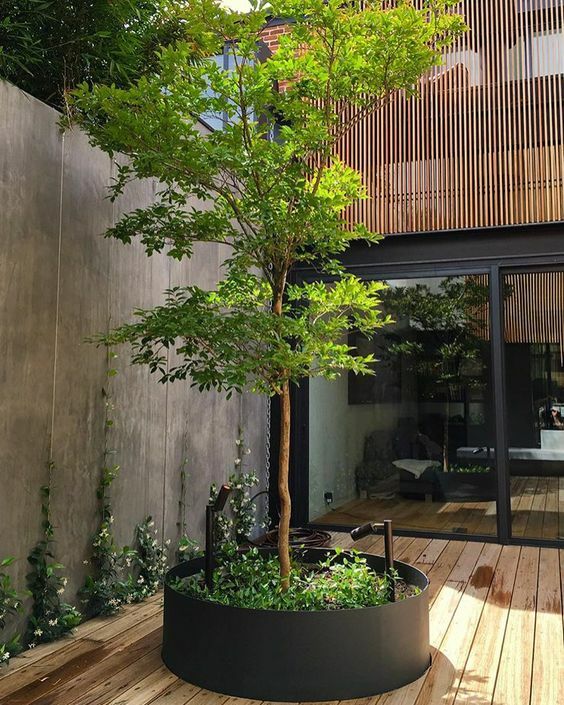 Here is an example that isn’t easy to track, sadly I could only find the Pinterest image but it looks to me to be a custom build and part of the garden design it self so it’s unlikely you would be able to buy it anyway. It is an interesting idea though and a nice way to frame a tree that perhaps is already in place. Note also the climbers on the wall that soften the harsh concrete. 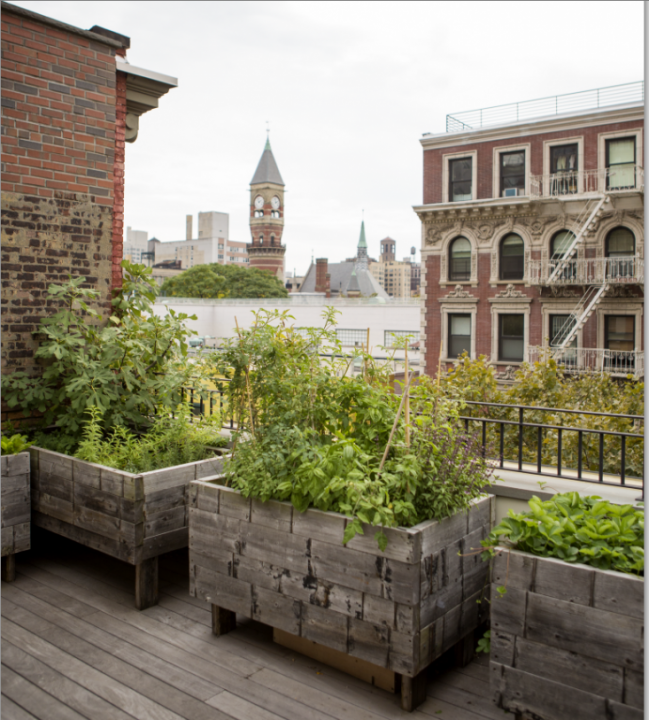 This is from an article about a garden design that overhauled a roof top and set these raised planters in place. 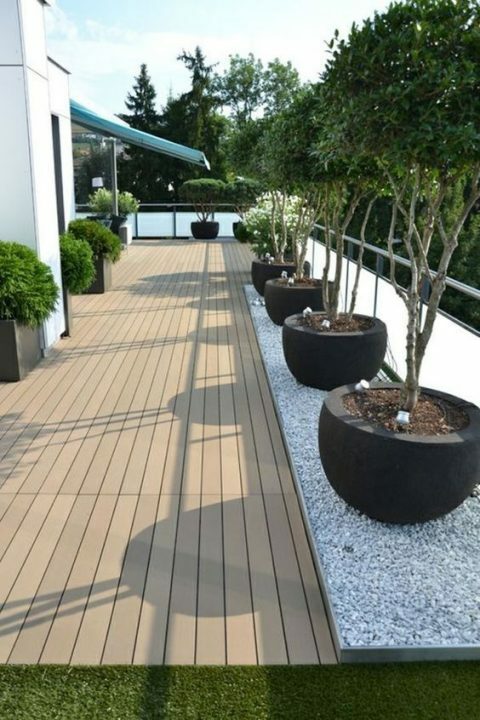 The views they get are great and the rest of the design is very natural rather that stylised but it brings a real warmth and usability to the space. Over time these planters would age more and go green to blend with the plant that grow inside. 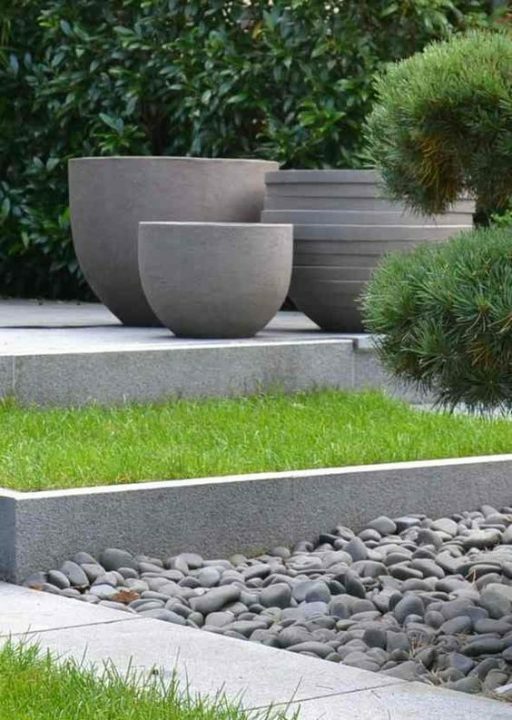 In complete contrast to the previous natural feel this very straight and neat garden frames each tree in a single black round bowl planter which contrasts with the white gravel on which its sits nicely. An old classic but still a good one. 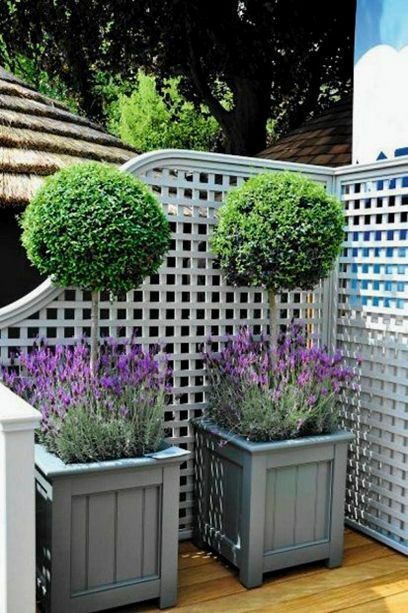 For a more traditional garden design the go to is the Versailles garden planter seen here planted with lavender and some buxus hedges. It’s not too hard to find a retailer for these and they can be very high quality so if you fancy them then have a search on google for some local producers. 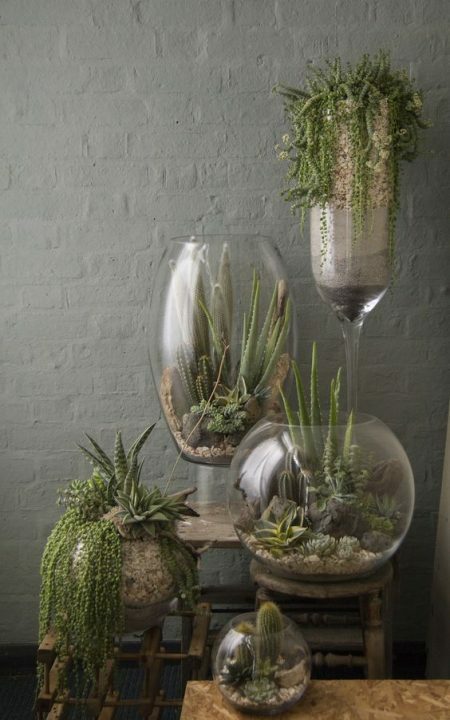 Terrariums are cool! An entire world inside a glass bowl and when sealed they have their own ecosystem that will perpetuate forever. I’ve seen some that haven’t been opened in 30 years such are the conditions inside that they just keep going. These examples aren’t quite that but they still look cool and make a really nice design feature. 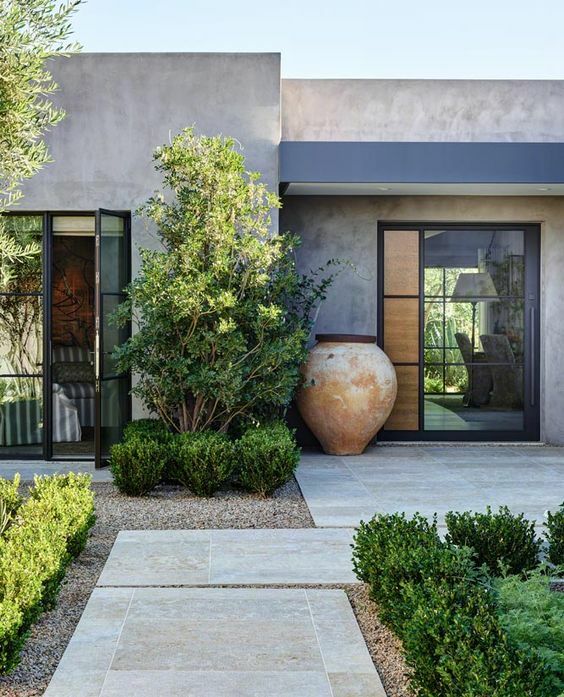 This stylish and modern garden is a neat design with low buxus hedges that line the edges of a contemporary stone path. The feature is a huge clay urn with nothing planted inside. The rustic colour and patina is what makes it and it stands out well against the grey wall and complements the wooden paneling in the door design. Finally I can present a design that I have a link to where you can buy. 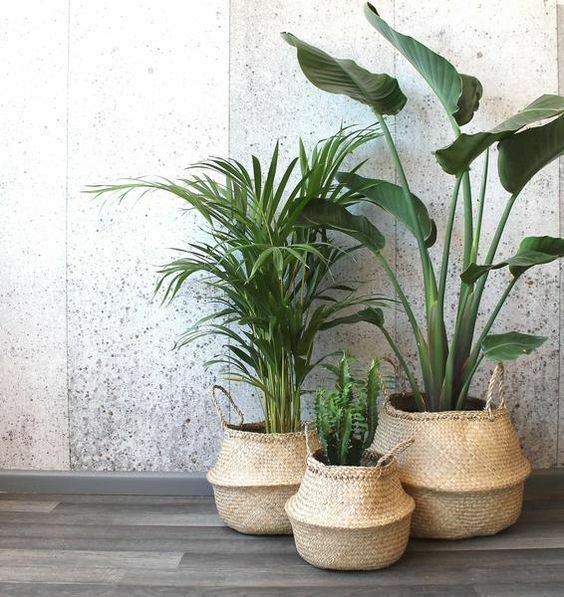 These woven baskets have a wonderfully laid back feel to plant pots and come flat packed. Obviously you will need to line them with something water proof or use a cheap pot inside but the basket gives a different look and effect to the usual planter. 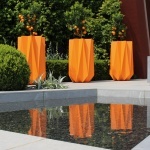 These have become very fashionable in recent years and so too has making a real feature of plants in the home. 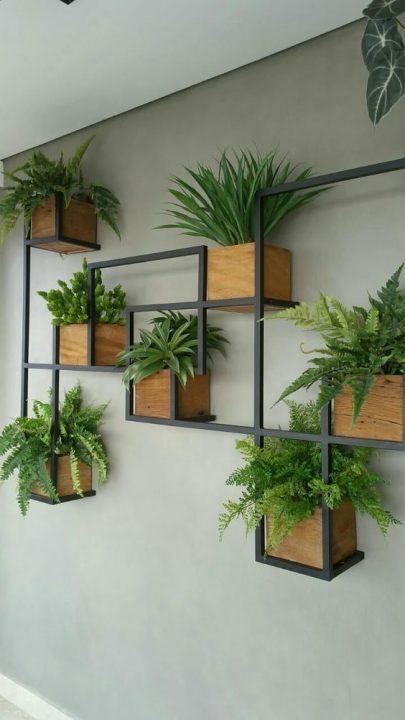 This requires a large wall but the basic idea of having an interconnected wall planter is the same and perhaps you could design one yourself? I tried having a banana plant and after weeks of thriving it decided it no longer liked the way it was treated and consequently died. 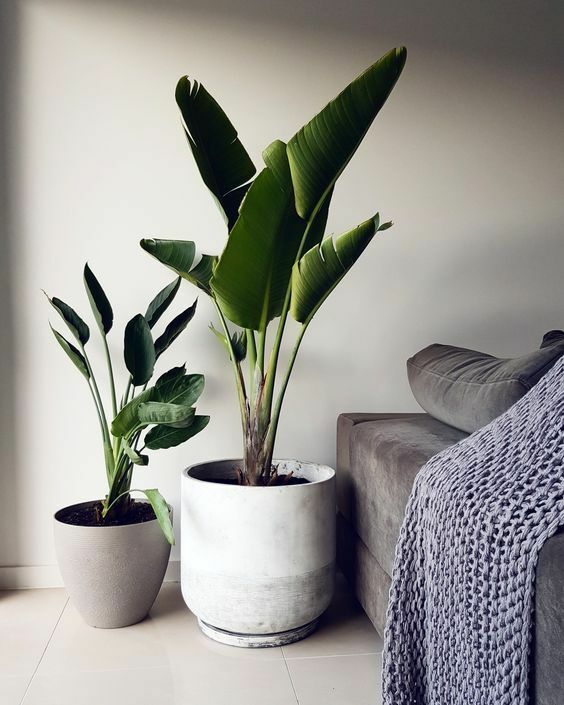 This bird of paradise palm though looks to be doing much better than mine and sitting in a simple grey pot it looks very cool. This is the kind of inexpensive pot that one can purchase online and it looks particularly good with it’s small sibling next to it.